Wed., May 2, 2018, 8:52 a.m.
Richland — A class-action lawsuit was filed this week on behalf of Hanford workers who lost pension benefits under a failed economic development program. Kennewick attorney Douglas McKinley filed the suit in the U.S. Court of Federal Claims. He estimated the damages at $100 million. About 2,200 Hanford nuclear reservation workers were told they were being moved from Department of Energy Hanford contractors to “enterprise companies” when Fluor was awarded the contract for environmental cleanup in 1996. The six new companies were awarded some Hanford work, with a plan that they would also develop some non-Hanford business lines to help stabilize and broaden the Tri-City economy. Transferred workers have said they continued to do the same Hanford work, sometimes at the same desk as before and with the same co-workers. But the six companies were no longer considered part of Hanford, and years of service figured into the workers’ pensions were capped, reducing workers’ eventual pensions. The lawsuit seeks to restore full pension benefits and a judgment to be determined at a trial. McKinley said that many, if not most, of the employees of enterprise companies are entitled to tens of thousands of dollars in additional retirement benefits. In 2016, McKinley filed a related class-action lawsuit. It covered just one of the enterprise companies, Lockheed Martin Services Inc.
By 2000, two of the six enterprise companies had folded. Lockheed Martin Services stuck around at Hanford until 2016, with some of its employees not accruing years of service toward their Hanford pensions for 20 years. Employees at other enterprise companies also wanted a class-action lawsuit filed on their behalf when they learned of the lawsuit for Lockheed workers, but McKinley wanted to first see how the initial lawsuit progressed. “Over the course of the last year and a half, as we have litigated the original lawsuit, we have become much more confident in the merits of a case filed on behalf of the enterprise company employees generally,” he posted on his law firm website. In September 2017 ,the U.S. Court of Federal Claims dismissed the class-action lawsuit brought against Lockheed Martin. A judge found that the plaintiffs failed to show that DOE entered into an implied contract with them. The ruling has been appealed to the U.S. Court of Appeals. In the latest lawsuit, McKinley spells out the DOE pension policy and how he believes DOE is contractually obligated to enterprise company employees. The Department of Energy ordered the development of the multi-employer pension plan for Hanford workers, which took effect about 1987, the lawsuit said. DOE pays for the plan and approves any changes, the lawsuit said. As contractors change at Hanford, workers typically are transferred to the new contractors. Before the Hanford pension plan was created, DOE faced the administrative burdens and costs of transferring pension funds for thousands of workers from old contractors to new contractors. 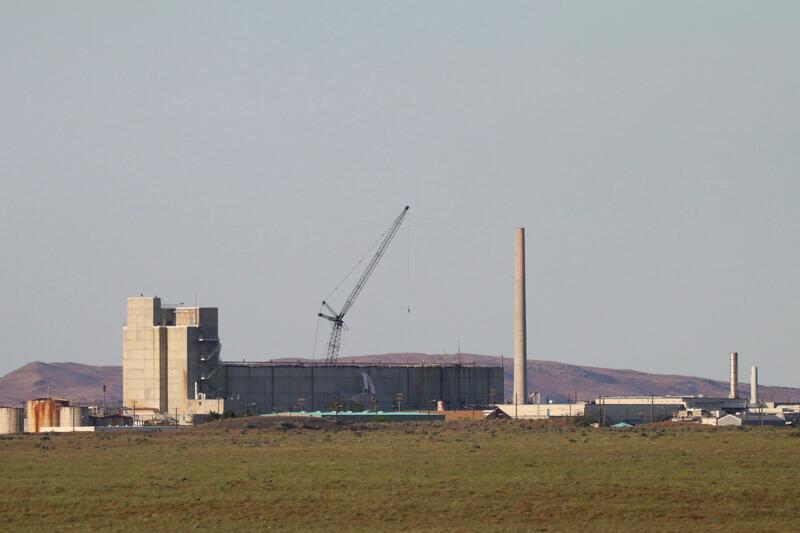 The Hanford pension plan stated that as Hanford workers were transferred among employers at the nuclear reservation, their pension benefits would transfer with them and benefits for years of service would continue to accrue. But the new enterprise companies were not listed as employers in the Hanford pension plan. Some enterprise company employees responded by trying to begin withdrawing their pension benefits shortly after they were assigned to the companies. They were denied their benefits and told they must remain in the Hanford pension plan, according to the lawsuit. The pension plan then was changed to say that part of the formula for figuring pensions for enterprise company workers would include their highest five salary years, including at the enterprise companies, but their years of service still were not included in the calculation. The federal government continued to make payments into the Hanford pension plan for enterprise company workers to meet the increased financial requirements from the change. That demonstrated that the federal government had pension obligations to the plaintiffs, the lawsuit said, despite the earlier ruling that the government had no implied contract for enterprise company pensions. The employees of enterprise companies who want to participate in the new proposed class action lawsuit must fill out a representation agreement with McKinley’s firm or they will not be included in the lawsuit. Lockheed plaintiffs in the 2016 class action are still represented and don’t need to sign up for the new lawsuit, McKinley said. One possibility is that the two lawsuits could be combined at some point. The representation agreement is posted at www.mckinleylaw.com. It must be mailed or dropped off at the law office at 1030 North Center Parkway in Kennewick. Published: May 2, 2018, 8:52 a.m.